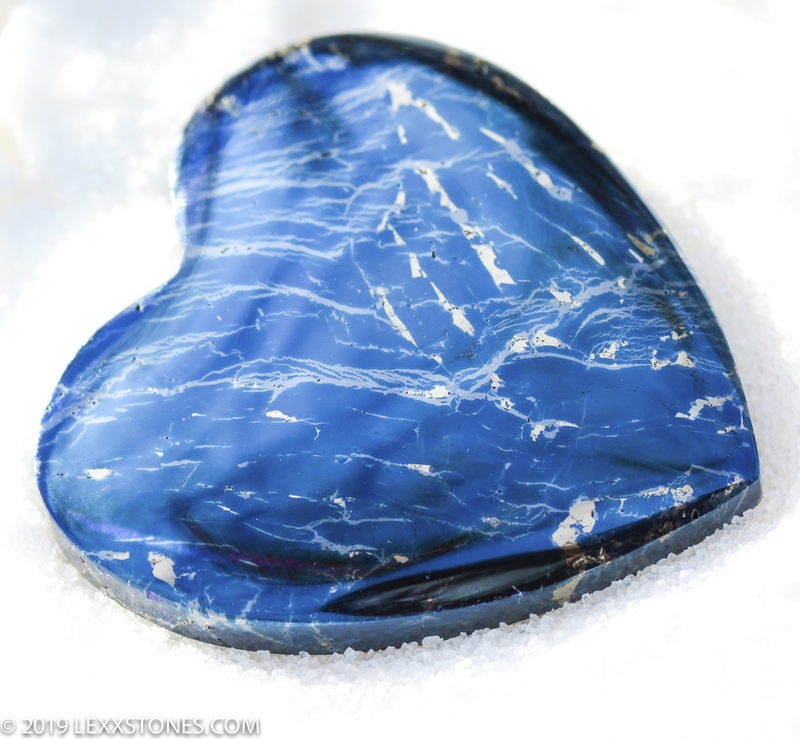 Here for your delight is an outstanding, original Covellite cabochon. A very scarce copper bearing material also known as "Covelline", this cab exhibits iridescent, metallic wavy purply, magenta blues with abstract whisps of glittery Pyrite throughout. Covellite (CuS) belongs to the binary copper sulfides group and is considered one of nature's geological "superconductors". 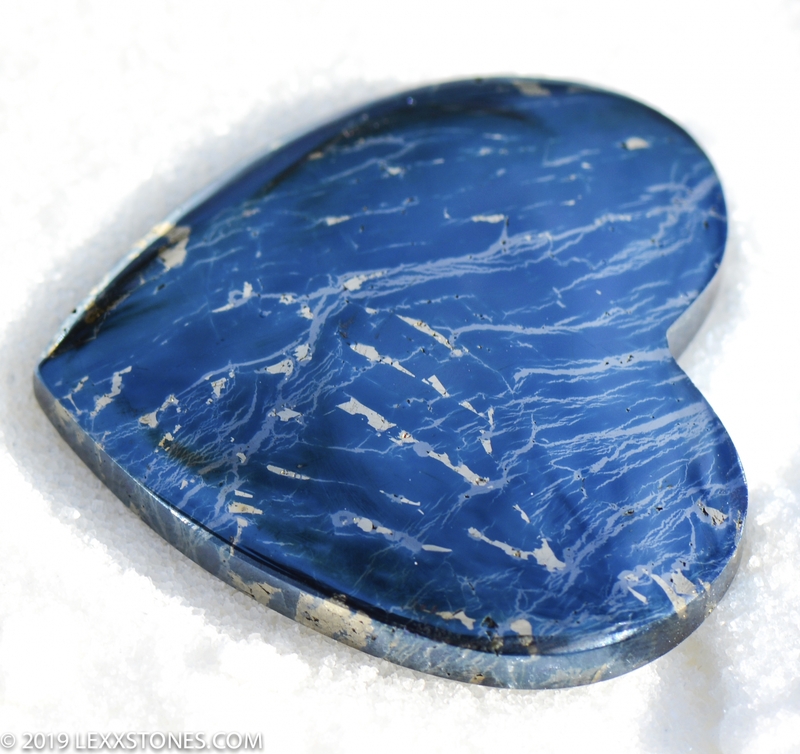 Covellite is approximately 62 to 66 million years old (Late Cretaceous). 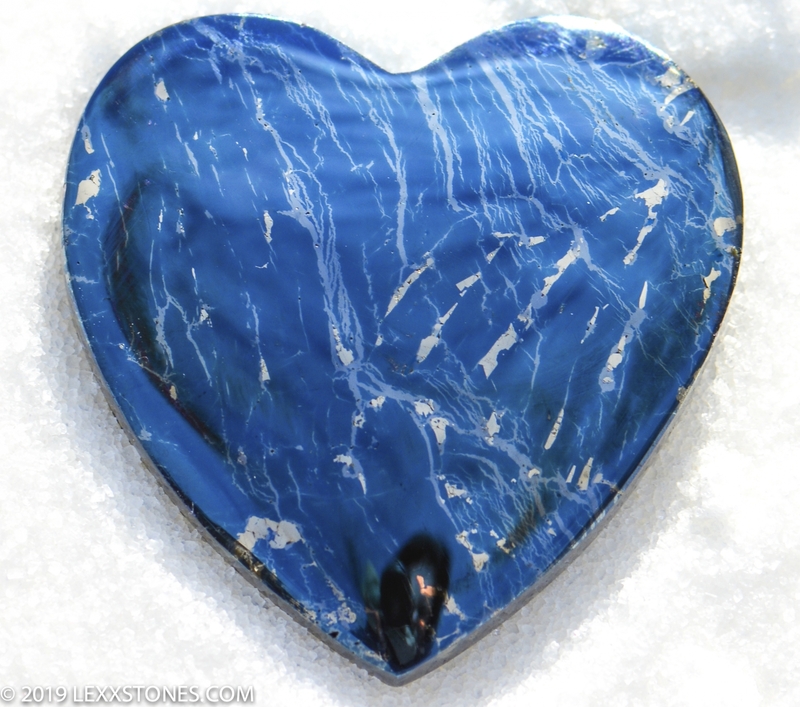 This cabochon is natural and "unstabilized". Some tiny pitting is a natural occurrence for this material. Lustery reflective, mirror-like polish front and back. Standard radius dome. 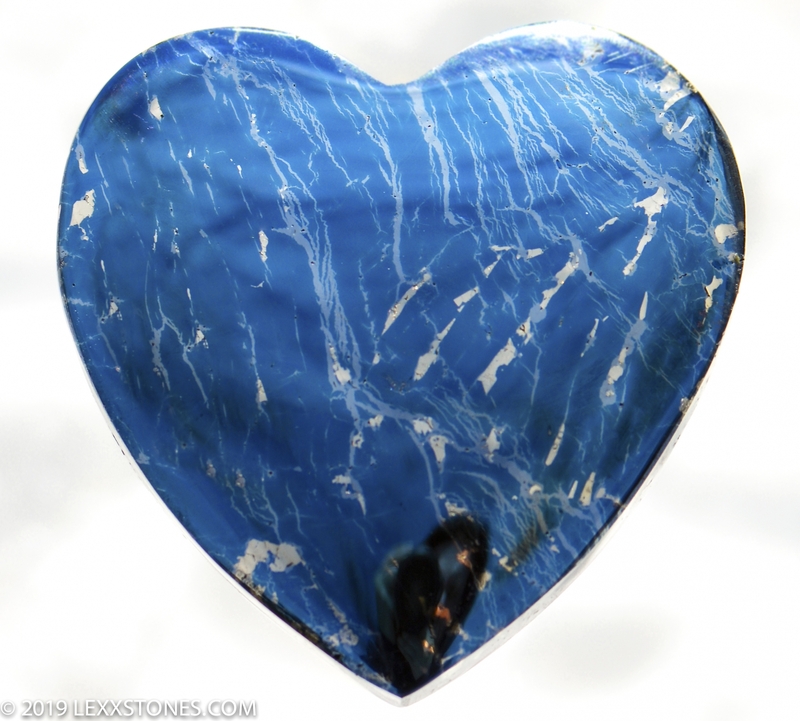 This attractive cabochon will make a wonderful wire wrap or precious metal setting. A sought after heirloom collectible as well. Hand crafted by Lexx. Photographed dry under natural daylight.